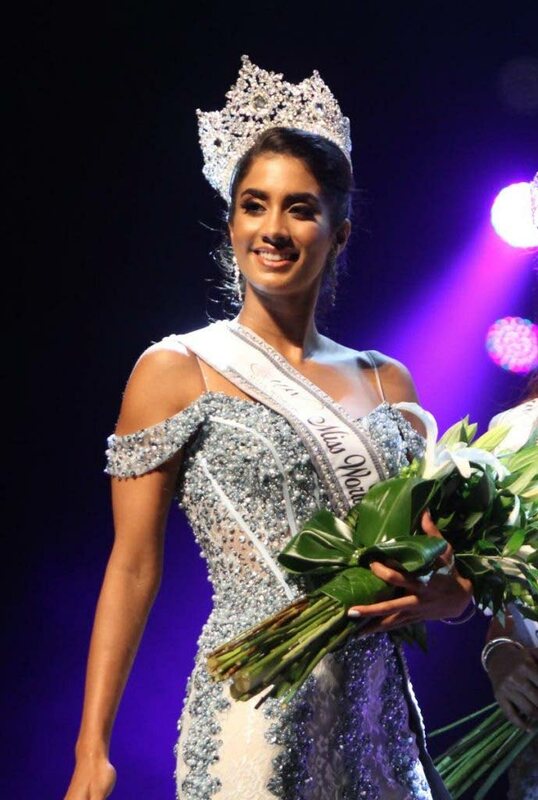 TT will be rooting for Ys­abel Bis­nath, the del­e­gate at tomorrow's Miss World pageant in Sanya City Arena in Sanya, China. The 26-year-old Oxford graduate and practising attorney stands as good a chance as any of the 118 contestants competing at the 68th edition of the pageant. Whatever Saturday’s outcome, the Port-of-Spain beauty who comes from a family of lawyers, has recorded her appreciation for all the love and support she has received from TT thus far. Bis­nath was named by Angelopedia in its Top 20 contestants who have a good shot at the crown. She was also selected among the top 12 contestants in the Beauty with a Purpose Project. Via her FB account, Bisnath said she was privileged and honoured to have Purple Pine Foundation, her project to empower extraordinary children to overcome extraordinary circumstance, selected. Bisnath who is employed with the Legal Department of the Ministry of Education, is a past student of Maria Regina Grade School and St Joseph’s Convent, Port of Spain. She went on to read for her law degree at Oxford University through an Open Scholarship, and then a Master’s in international business law at King’s College, after being called to bar at Inner Temple, London. She is also multi-lingual, fluent in French, Italian and Spanish. The pageant will be televised live from 7 am. Reply to "Bisnath competes in Miss World tomorrow"